These young ladies played the piano beautifully at the Middle School and High School Awards Ceremony. From left to right are: Reagan Hunter, Jordan Rice, and Claudia Griggs. Jordan and Reagan will be singing at the Big Dreams Concert. Claudia will be accompanying on piano. Not pictured is Tre’ Rice who also played. 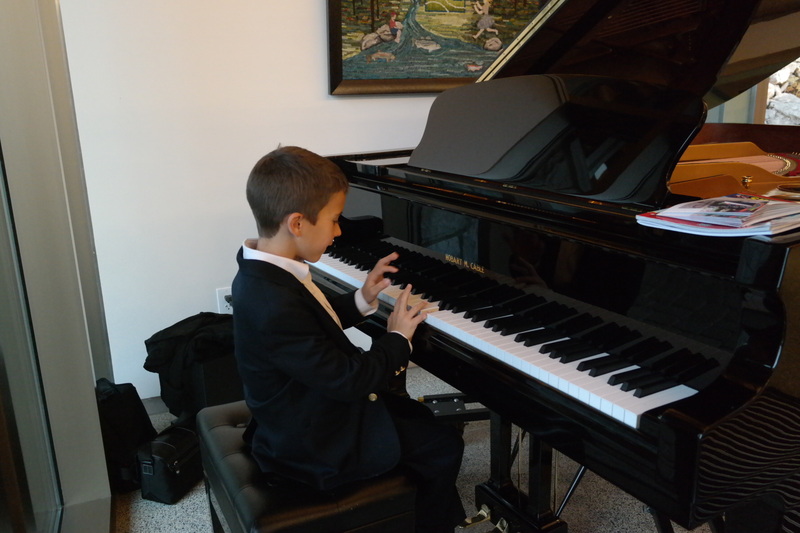 He will be playing Jazz at the Big Dreams Concert on Dec. 21st! Get Tickets Now for only $10! Kennedy Habeeb played a duet with Ms. Dana at the Elementary School Awards. Thomas Habeeb is working those keys at the Elementary School Awards. 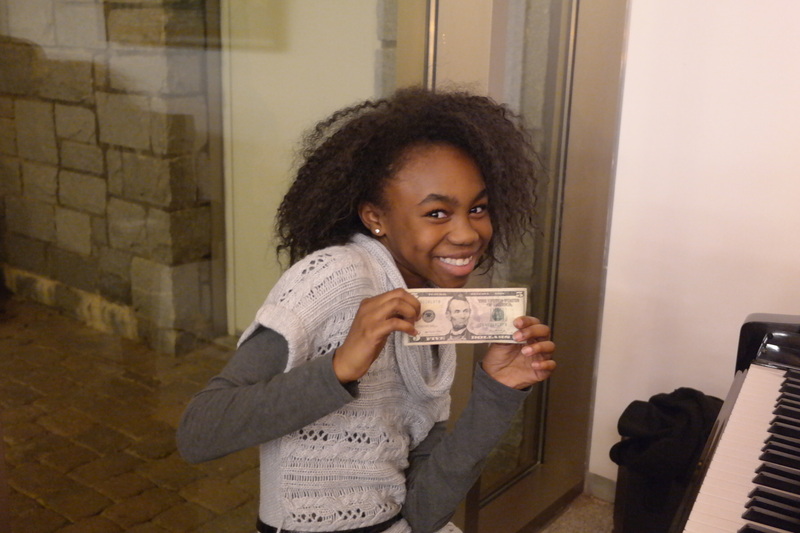 Someone placed a $5 tip on the piano while Jordan was playing! 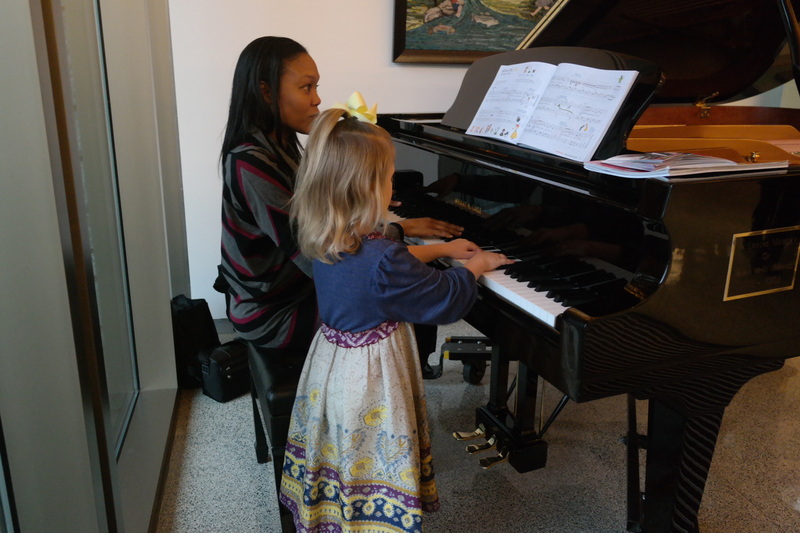 Purchase your tickets today to hear what she was playing. Kennedy Habeeb plays Fur Elise at the Elementary School Awards. Not pictured are Isabella Jemal and Amelia Jemal who also played at the Elementary School Awards. Get Tickets now to see them LIVE!